Michael Farrell and Jill Jones talk and read from their 2009 anthology Out of the Box: Contemporary Australian Gay and Lesbian Poets. Chair: Martin Edmond. Trip to Waiheke for lunch and a walk on the beach. 11.00 am ferry. It has been almost a truism within Australian and New Zealand literary cultures that the two countries have tended to look south to north, to British/European and US 'centres', rather than to each other. Or they have focused inwardly, worrying over a ‘national literature’. In the case of poetry, there’s been some migratory exchange across 'the Ditch' and occasional gestures towards a more lateral poetic exchange. I was included in a small trans-Tasman project in the early 1990s through the Christchurch-based Hazard Press series of Australian and New Zealand poetry books. In other words, my first book was published in a city and a nation I had never stepped into at that stage. And, of course, there have been anthologies and features in journals in each country aiming for Antipodean connections. But is it now time to take the latitude offered by new communication and publishing frameworks (and cheap airfares, while they last) for regular discourse, exchange, collaboration and, yes, argument? In fact, for a de-centredness that also takes in the Pacific rim, and the many island as well as continental nations of the Pacific and neighbouring seas, or further, an engagement with everywheres and anywheres that doesn’t depend on old-style centring (or faux globalism). That acknowledges how poetries (indigenous, old world, post-colonial, yet-to-be-categorised) continue to work on each and all in the 21st century, through the various publishing and communication modalities, and intersections of poetics and poetry practices and traditions (let alone the personal contacts that are being generated). I note Mark Young’s work through Otoliths and John Tranter and Pam Brown’s work through Jacket as examples. This raises a number of questions. What don't we know about each other? Does it matter anymore? Did it? What do we make of traditions as part of engagement? Will it become a blur, a re-version, a mash-up? Are the local, the idiomatic, and the temporal, necessary or nostalgic? Jill Jones teaches in the Creative Writing programme at the University of Adelaide. 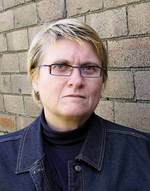 Her most recent book is Dark Bright Doors (Wakefield, 2010) and she co-edited with Michael Farrell the anthology Out of the Box: Contemporary Australian Gay and Lesbian Poets (Puncher & Wattmann, 2009). 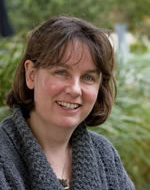 Ann Vickery was a founding editor of the feminist e-journal HOW2 and now teaches at Deakin University in Melbourne. Her most recent book is Stressing the Modern: Cultural Politics in Australian Women’s Poetry (Salt, 2007) and she co-edited Manifesting Australian Literary Feminisms: Nexus and Faultlines (Australian Literary Studies, 2009) with Margaret Henderson. If you can’t go back for more than a couple of generations, and many of us in the antipodes can’t, the temptation to invent your forebears is hard to resist. David Mitchell knew only as far back as his grandparents on his mother’s side; and of his father’s people he knew nothing at all. Various fantasies stood in for whatever the reality might have been: that they were Jews from Damascus or Dublin; perhaps Russians who came in some undetermined year via Vladivostok and Shanghai to Sydney. In 1965 I left Wellington, where I’d lived with Dave Mitchell. We moved on the periphery of literary circles that included Jim Baxter, Alistair Campbell and Louis Johnson. I came over to Sydney, settling in Balmain in 1968 where I still live. Five of the poets represented in Big Smoke: NZ Poems 1960-75 also lived there. It was a very active, trans-Tasman scene; poetry then, as it perhaps isn’t now, was a blood sport. There was the little magazine revolution; Freed was paralleled in Sydney by Free Poetry, which I edited, & where I published some of Dave’s poems (‘White room,’ ‘A small sincere poem for Davnet,’ ‘Bone’ and an untitled experiment not unlike ‘the Yes Sheet’). Later there were readings organised and promoted by the Sydney Poets Union, which had been founded in an attempt to bring an end to the poetry wars. 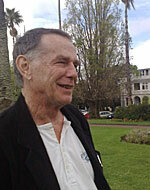 Those readings, some of which Dave attended, have a direct relationship with Poetry Live, which he founded in Auckland in 1980. Nigel Roberts lives and writes in Sydney. His most recent publications are Déjà vu tours (Hale & Iremonger, 1995) and Late (Polar Bear Press, 2007). 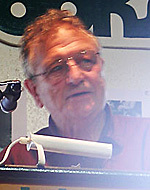 His Selected Poems will be published in 2011. He is currently assembling a collection of memoirs on the life and work of David Mitchell. A remark addressed to me and two fellow New Zealanders as graduate students in the English Department at Melbourne – and yes, I think in that context we were eccentric. Arriving from New Zealand with my five-year degree, I was quite unprepared for the difference of Australian intellectual life, and it was a shock to discover how long it took to learn the local language. John Newton lives and writes in Wellington. He taught at the University of Canterbury until late last year and recently published The Double Rainbow: James K Baxter, Ngati Hau and the Jerusalem Commune (Victoria UP, 2009). In 1978 the ever-generous Nigel Roberts got me on a mini-bus from Sydney to the Montsalvat Poetry Festival ar Eltham near Melbourne. There was a buzz around poetry in Australia, in part an international phenomenon but, over there, also the result of cultural policies instigated by the Whitlam ALP administration between 1972-75, which were continued in varying degrees by Hawke and Keating from the mid eighties through the early nineties. The Australian voices I heard at Montsalvat and over the next few years were socially confident, laconic, at ease with the ‘spoken word’, and with access to a vein of self-deprecating humour. At the same time, as in the case of Michael Dransfield for example, Australians seemed to welcome high romantic excess. They seemed to have more of these qualities than their Kiwi counterparts who, by comparison, sounded more orotund, literary, vatic and solemn. One memory: at Montsalvat, a reading by an Australian poet took the following form. A Festival assistant brought out a cassette tape-recorder and, having placed it on a table in front of the audience, pressed the on button. There ensued the hesitant sound of someone typing. This went on for some minutes. Then the assistant came out and turned the recording off. The performance concluded with the same person announcing that this had been the sound of a New Zealand poet at work. Ian Wedde lives and writes in Wellington. 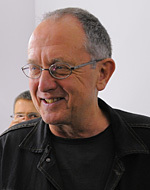 His most recent books are Bill Culbert: Making Light Work (art criticism) and Good Business (poetry), both published by Auckland UP in 2009. I want to talk about the experience of working closely from a 'prompt' text, in this case cold snack by Janet Charman, which won the Montana NZ Poetry Award in 2007. Many kinds of response got into my final collection of response-poems, ranging from instances where I stayed very close to the prompt text (even using homophonous words, sticking to Charman's line-length, spacing and other formal decisions), to those poems in which I used only a brief single read of a Charman poem, putting it aside and working very quickly to compose a response while I still retained that memory. The project began as a tribute to Charman, whose poems I have admired for many years. I would like to discuss how I tried to avoid simple imitation, going back to drafts and changing my poems after an interval, this time using Charman's text much less and letting the draft poems take me where they wanted to. Now eaten cold brings me to Auckland, and there’s Janet Charman coming through the door. 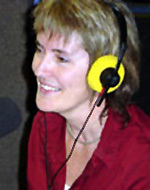 Cath Kenneally makes Arts Breakfast each Saturday for Radio Adelaide at the University of Adelaide and is the producer of Writers’ Radio, a weekly books and writing programme nationally distributed on the Community Broadcasting Network. Her most recent book is Jetty Road (Wakefield, 2009), a novel. My online & print zine Otoliths is entering its fifth year, but the reality is that it's been fifty years in the making, almost as long as I've been writing. The first involvement in the world of literary journals was at Victoria University, in 1960. A couple of years later I assumed a year-long stewardship of an existing journal before passing it on; & at the end of the decade, I brought out a single-issue roneoed foolscap magazine called Love / Juice. I would have loved to have done more, but the reality – ironic, since I seemed to be surrounded by poets – was that there was only one other poet around in NZ at the time, Dave Mitchell, who approximated my vision of where poetry should be heading. 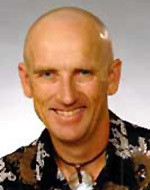 Mark Young lives and writes in Rockhampton, Queensland. Recent books include Pelican Dreaming: Poems 1959-2008 (Meritage, 2008), Lunch Poems (Soapbox, 2009) and Genji Monogatari (Otoliths 2010).